Auto theft can be very dangerous and this is a car thief that should have thought twice before stealing a bait car in Washington State. Check out this dramatic video. A bait car, also called a decoy car, is a vehicle used by a law enforcement agency to capture car thieves. The vehicles are specially modified, with features including GPS tracking, hidden cameras that record audio, video, time, and date, which can all be remotely monitored by police. A remote controlled immobiliser (known as a “kill” device in law enforcement jargon) is installed in the vehicle that allows police to disable the engine and lock the doors. The car is filled with valuable items and then parked in a high-vehicle theft area. In some cases, the vehicle is simply left unlocked with the keys hanging from the ignition. When the car is stolen, officers are alerted, who then send the radio signal that shuts off power to the engine and locks the doors, preventing an escape. The practice does not violate entrapment laws, since suspects are not persuaded to steal the vehicle by any means other than its availability and their own motivation. The concept and technology was first developed by Jason Cecchettini of Pegasus Technologies and was used by the Sacramento Police Department in 1996, using Sedans like the Toyota Camry, and sports cars, such as the Honda Prelude. The bait car is a phenomenon in the study of criminal behavior since it offers a rare glimpse into the actions and reactions of suspects before, during and after the crime. Unlike other crimes caught on surveillance cameras, suspects, at least initially, believe and react as if the crime has been wholly successful, until the bait car is apprehended by law enforcement personnel. The largest bait car fleet in North America is operated by the Integrated Municipal Provincial Auto Crime Team (IMPACT), based in Surrey, British Columbia. Surrey was designated the “car theft capital of North America” by the Royal Canadian Mounted Police in 2002. Their program was launched in 2004, and has contributed to a 10% drop in auto thefts since then. A LoJack is a similar technology, in that it allows a vehicle to be remotely tracked if it is stolen. These are typically installed in police vehicles. Bait cars can be used as part of a honey trap, a form of sting operation, in which criminals not known to the police are lured into exposing themselves. Unlike a sting operation that targets a known or suspected criminal, a honey trap establishes a general lure to attract unknown criminals. Bait cars (and the stings they are used in) have been featured in numerous documentary or reality television programs, including COPS and World’s Wildest Police Videos. They are also the exclusive focus of a 2007 Court TV (now truTV) series simply titled Bait Car. GlobalTrak’s Remote Sensor Nodes (RSNs) increase the shipper’s ability to monitor cargo condition with a variable set of sensors for door status, humidity, temperature, a 3-axis accelerometer, and now an extremely sensitive gamma detector, a long term stable sensor with built-in temperature compensation and low power consumption. In a radiation monitoring application, the GlobalTrak AMU is mounted on the exterior of the container, truck trailer, or railcar with one or more RSNs equipped with the gamma detector positioned inside the load in best detection positions. The detectors have low and high alarm thresholds to accommodate varying levels of background radiation, such as might be encountered in an ocean transit versus a land route. 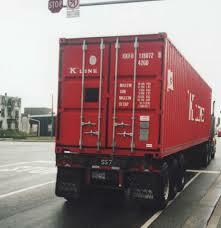 The same ZigBee wireless network that allows RSNs to report their status through the AMU can be used to enhance shipment security by monitoring the status of EJ Brooks’ electronic strap seals on individual packages within the shipment or bolt seals on the door of a container, truck trailer, or rail car. Gizmo is a remote-controlled toy monster truck which has been tricked out by Calit2 UCSD researchers. At just 20″x14″x11″ in size, it is tiny when compared to regular trucks, but it can deliver something that they cannot: an adaptable and reliable research platform which is reconfigurable for the task at hand. Gizmo’s “tricks” are treats for researchers. Each truck has a Calit2 CalMesh ad-hoc network board which is equipped with both wireless local area network (WLAN) and global positioning system (GPS) cards. Basic features currently include full motor capabilities (forward, reverse, braking), an override circuit for manual remote control and a web-enabled camera. The underlying motivation of the Gizmo project is to create an autonomous multi-radio platform that can be controlled by many kinds of interfaces and can be used for a wide variety of applications, such as, disaster response environments, radio frequency (RF) mapping, data gathering and educational purposes, as well as others. The idea of this technology is to develop collision free traffic in the future where cars are control by centralized traffic controller, following the successful of fly-by-wire technology that have been applied in aviation field for years. In the future where most areas are covered by WLAN or WIMAX wireless signals, all vehicles are controlled by central traffic controller where passengers only need to key in their destinations into the cockpit control panel. Driving a getaway car just got a little tougher. As if high-speed patrol cars, helicopters, and tire spikes weren’t enough, soon the fuzz might come armed with a laser-sighted, double-barreled homing-device launcher. The gizmo, called the StarChase Pursuit Management System, fires sticky GPS transmitters from compressed-air cannons mounted in the front grill of a police cruiser. A backlit control panel allows officers to arm the capsule and launch it at their target; once the projectile is attached to the fleeing vehicle, it starts feeding real-time location data to police HQ over a cellular network. This lets cops fall back and tail the suspect covertly, avoiding dangerous chases. “It has real James Bond appeal,” says sergeant Dan Gomez with the LAPD’s Tactical Technology Unit. The system is still in the testing phase, but the LAPD says it will be on the streets by early 2008. It could spell the end of high-speed pursuits — and put a lot of news helicopter pilots out of work. Vehicle Tracking System that rely 100% on GPRS sometimes will have this problem. The tracking device is functioning with GPS module exactly calculate the location. It keep on reporting to the central server for every single minute. The owner of the car or vehicle simply can watch their car moving on the web-based map on his or her PC. Suddenly, his or her car simply disappears on the map. Is the car just vanished into the air? He/She call the provider, regarding the lost. The operator pick up the call, and check the status of the car using SMS directly to the tracking device. He got text-based reply with car location and engine status. The car maybe still drove by authorized driver on have been carjacked. How to solve this mystery? The answer is: poor GPRS coverage. Hahahaha. Let’s the telco step forward to be blamed. The owner still not satisfying about this. So, he/she decides to stop subscribing the service. Again, the telco frees without blames and upgrading their system. The AVL provider is always lose. Maybe, we should do something about this.